These professional quality Plastic Gem Pro Casino Playing Cards (without border) are made of a specially formulated PVC plastic. 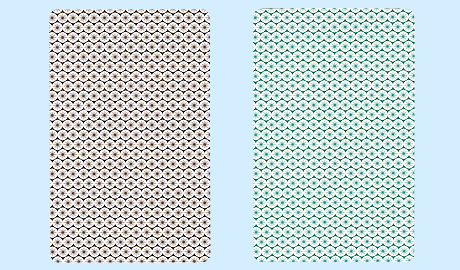 Two-deck sets feature decks with green and black backs. Gem Pro Playing Cards without Border are Narrow Size (2-1/4" x 3-1/2") with super index numbers. Sale Price: $14.95. Retail Price: $32.50. Save 55%!